Is overthinking one of your habits? Do you discuss your problems in your mind over and again, instead of doing something to solve them? Do you analyze in your mind every event and everything you hear and see? Do you keep thinking the same thoughts, unable to get them out of your mind? Do you keep thinking of the the pros and cons of every action you need to take, and therefore, are unable to make decisions? If this is all true, then you are thinking too much. It is okay and useful to think, but when thinking turns into overthinking, this can become a problem. This is why you need to learn to stop overthinking. Does your body need rest and sleep? Of course it does! Do you keep the engine of your car running when you arrive at your destination? No, you switch it off. So why keep your mind running when there is nothing to think about? Why occupy your mind with meaningless thoughts? Why repeat every thought that floats into your mind, and why occupy your mind with worries and negative thoughts? This is a waste of energy and time. Ask yourself, who is the boss of your mind, you, or the unimportant thoughts that you are unable to shake off. To stop overthinking means to control your mind. 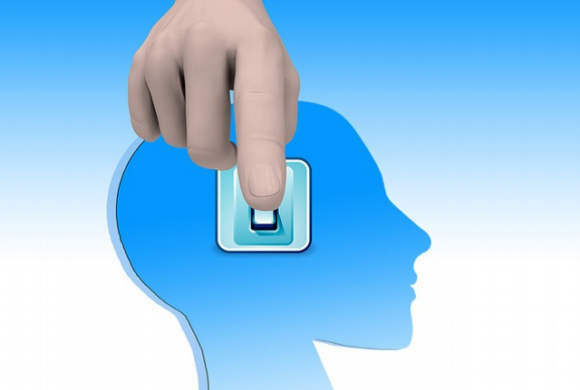 To stop overthinking means putting your finger on the switch that can turn on and off the thinking process. This might sound far-fetched, but it is not. There are many reasons why you need to stop overthinking. Below, you will find a few of them. I do not mean that you get a headache when you plan something, write, or look for solutions to problems. I mean that you might get a headache when you keep repeating, discussing and analyzing a certain unimportant matter. You might get a headache, if a certain thought keeps repeating itself in your mind, and you cannot stop thinking it. This happens often to most people. It is like a song that keeps repeating itself in your mind, and which you cannot take out of your mind. Thinking about unimportant matters over and again will get you nowhere, and your only gain would be waste of time, waste of energy, and probably a headache. What happens if you decide to do one thing, but immediately change your mind? When making a decision, the proper way is to think for a while about the options, decide about best course of action under the given circumstances, and then make the decision and carry it out without looking back. If instead, you keep thinking, raising doubts, changing your mind, and letting worries occupy your mind, you will not be able to decide and will not take action. Overthinking weakens your ability to make decisions and carry them out and allows your mind to raise doubts. This behavior wastes your time, and makes you lose confidence in your ability to make decisions. You miss opportunities because you are imprisoned by your thoughts. Constant thinking puts you in to a rut. You cannot see beyond your usual thoughts, beliefs and viewpoint. When you get rid of this habit, you allow other, different thoughts to enter your mind. You become aware of your environment and you can therefore recognize opportunities. A mind free of too much thinking can see life from a wider viewpoint. The habit of nonstop thinking makes you a passive person, instead of an active person, who takes action and does things. When there is overthinking, you cannot make up your mind about anything, and you allow every thought that passes through your mind to grow, repeat itself, and bring more similar and associated thoughts. Every goal needs thinking and planning, and then you need to act. Just thinking, fretting and analyzing, will not take you anywhere. You need to know when to stop thinking and start taking action. It is easier to focus your mind on your work, studies and whatever you happen to be doing, when the mind is calm, free, and not occupied with constant thinking. You have more control of your mind and a better focus when your mind is not constantly occupied with nonstop thinking, over which you have no control. When you give every matter just a reasonable period of time to think about, and then make a decision without changing your mind numberless times, you make things happen. You spend your time doing things instead of just thinking about them. When there is no constant thinking, there is inner peace, and when there is inner peace, your mind and attention become free of worries, fears, thoughts about the past, and meaningless thoughts. In this situation, you become more aware of the present moment, aware of opportunities, and you experience more happiness. Do you realize now why it is important to overcome the habit of overthinking? It is not as hard as you might think. All you need is to know how to do that and follow several simple techniques. You just need to learn to calm down the chatter that constantly goes on in the mind. Even a few minutes a day will take you far. Where can you find the guidance and instructions? You can find simple working methods in the book Calm Down the Nonstop Chatter of the Mind. It is a simple and effective eBook-course, which everyone can read, follow, and practice.